Dragon Quest fans will recognize the name Luida's Bar from the role-playing game; it'll also be the name of an establishment Square Enix is opening in Tokyo later this month, coinciding with Dragon Quest VI's release on the DS. The bar opens to the public Jan. 28 in Roppongi, Tokyo, but before that, it'll be holding sneak peeks from Jan. 22 to Jan. 27 for those who register on the bar's web site. 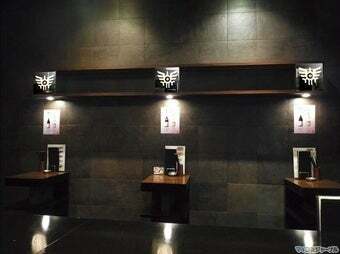 While the real bar's interior (pictured) is not a pure recreation of the one from the game, its menu of dishes and drinks are inspired by Dragon Quest. Square's opened an official site for it, but the text is in Japanese. Then again, the bar is in Japan so if you're going to it, you probably already read that language.